Adult Chipping Sparrow, Rondeau Provincial Park, Ontario, Canada, 2007. Image courtesy of Wikimedia Commons. Adult Chipping Sparrow with young, July 2006. Dennis Murphy, USA. Image courtesy of Wikimedia Commons. This small, slender sparrow has a bright rufus colored crown, black stripe through the eye, white eyestripe, black bill, and bright grayish white breast in its breeding phase. Nonbreeding adults and juveniles are drabber. 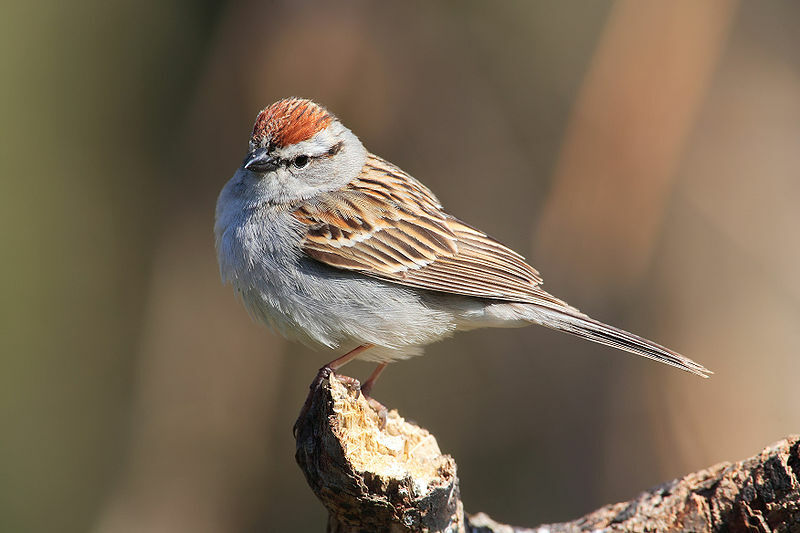 The chipping sparrow consumes seeds in winter, foraging on the ground and in trees. During breeding season it consumes more insects and other invertebrates. Its high pitched, repeated single note is a familiar sound in backyards and fields. 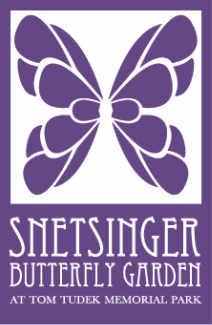 Food, cover, nesting sites. The chipping sparrow prefers habitats with trees and open grassy areas with a variety of seed sources from plants, grasses, and trees. 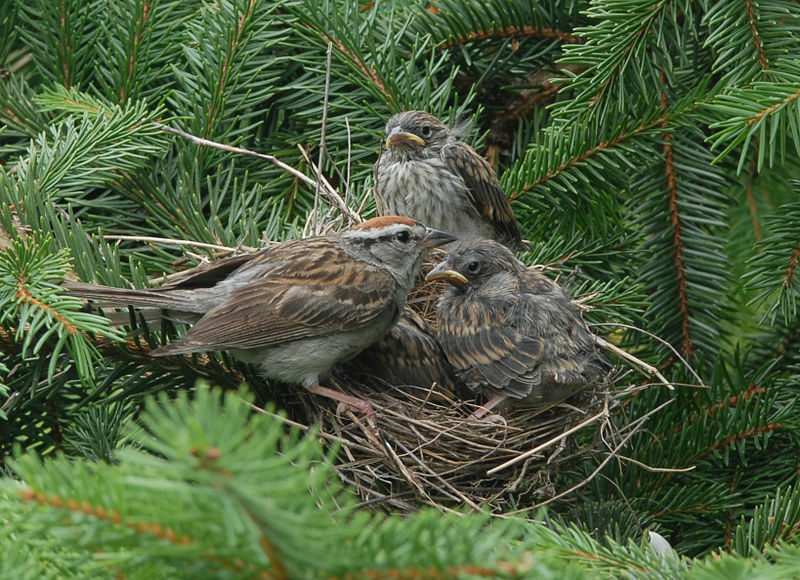 Its flimsy nests are often built in an evergreen tree out near a branch tip, but it also may choose shrubs or deciduous trees. Spring, summer, or fall. The chipping sparrow migrates southward to central America or the Caribbean for the winter.